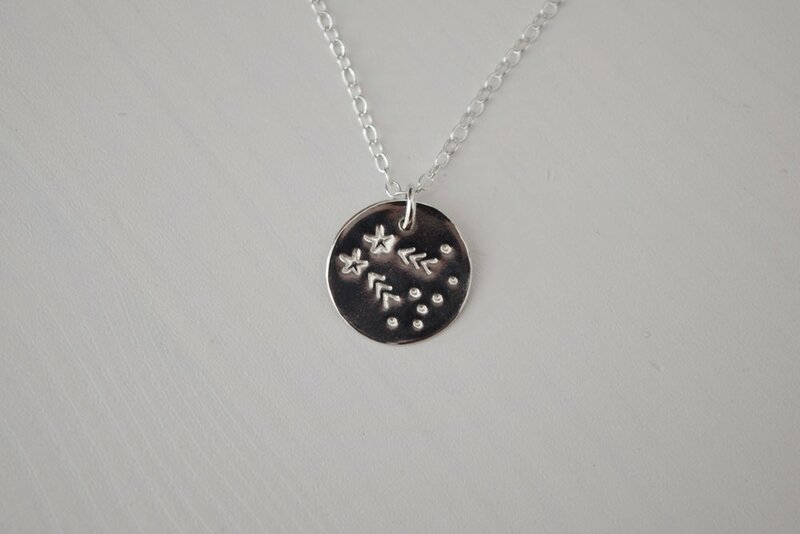 Each sterling silver disc pendant is stamped by hand, meaning each one is unique. This necklace is perfect for everyday wear for the city, mountains or beach. A token of your love for the outdoors, this silver gravity necklace connects you to the slopes. Handmade in our studio by the sea, this silver gravity necklace is complete with a sterling silver chain, available in four chain lengths. Each piece in our EXPLORER collection is inspired by the moments in time around the world. This necklace was born out of days spent in deep snow with good friends. There's something indescribably epic about being in mountains and breathing in the freshest winter air. Thank you gravity for making these days possible.